Summer Season Pass On Sale Now! Join us on the 4th of may for character appearances at Splash Lagoon! Experience Hologate virtual reality at the Treasure Island Arcade! Father's Day Dad Swims FREE! Over 100 awesome arcade games! Time for a family vacation or weekend getaway! 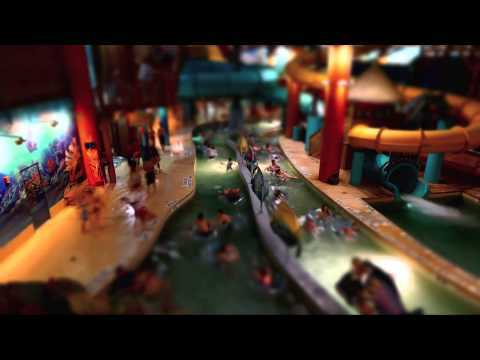 Get your Splash Lagoon Indoor Water Park fix now! 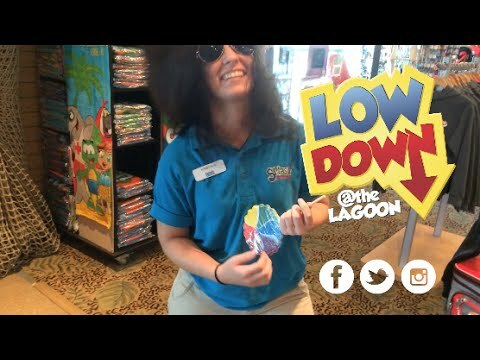 Listed as one of America's Top Indoor Water Parks, Splash Lagoon allows guests to swirl down nine water slides, climb the Tree Tops Ropes Course, relax in the Lazy River, ride the waves in the largest wave pool in the Eastern United States, spin in the new Aqua Tumbler and play in the Treasure Island Arcade & Lazer Tag! Wild Waters Wave Pool at Splash Lagoon Indoor Water Park Resort is the largest indoor wave pool in the Eastern United States. With water fun for kids aged 2 to 92 they will enjoy the 200,000 gallon wave pool and waves that can reach a maximum height of 6 feet with six different wave patterns. 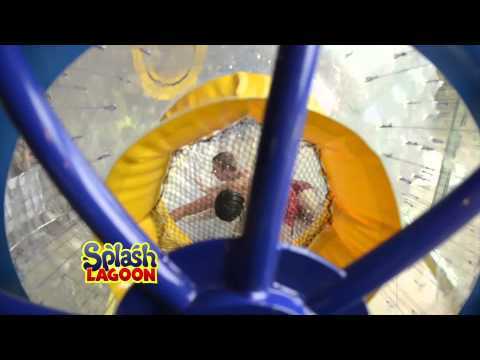 The Aqua Tumbler is a giant rolling ball of awesome wet and wild fun! It will catapult you in an endless looping inversion, turning your world upside down and all around! It's a thrill! Grab your friends and start a game of pick-up water basketball in Adventure Bay's 4 foot pool! Test your agility on the lily pads-it's not as easy as it looks! Your Five-Story Fortress of Fun! Explore twelve levels of activities. You can't stay dry! Dump water on your friends, yourself or anyone in your path! You'll be drenched right from the start on the Big Kahuna Water Slide! It's an exciting ride of twists'n turns that will even take you outside the building! Dive into the darkness of the Black Hole water slide from atop the Tiki Tree House. You won't see the light of day until you blast into the pool below! Get ready to launch into a mammoth bowl of spinning water, where the Cyclone will whirl you around four times before hurling you into a pool! This is an all-ages whirlpool. Adults can enjoy the jets in the pool, while kids get splashed by the colorful "LeapFrog" fountains. The granddaddy of them all! Blast down the tube at 40 mph, torpedo into the huge bowl, circle around feet-first, and get "funneled" into 6 ft of water! 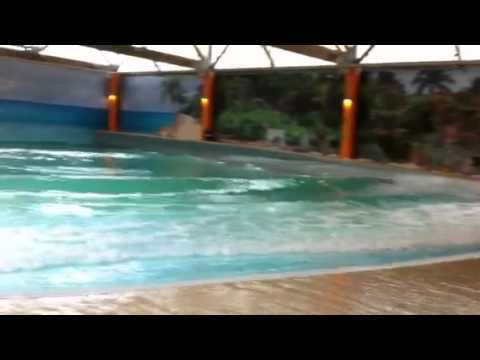 A whirlpool everyone can enjoy. Relax in the jets of the Lava Pool and let the kids play at your side. Be as lazy or crazy as you want to be. You'll have time to relax and admire the local art. But beware of the waterfall! That's where things can get crazy! The Maui Wowie is a fast and powerful water slide that starts at the top of the Tiki Tree House! ALL NEW PLAY AREA! A place where little squirts can have fun away from the older thrill seekers. Featuring three new slides & tipping bucket, pint sized slides, a shallow pool, and activities! 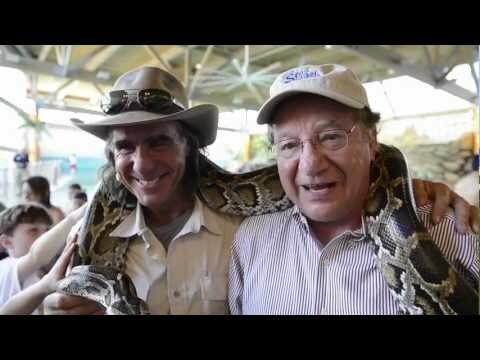 The Python Plunge water slide will have you splashing and thrashing inside and out! So scary, you may want to ride a tandem raft with a friend! Sink your teeth into this fast and furious water slide! Surprises around every turn, especially when you find yourself in a tube outside the building! The Tiki Tipping Bucket is 48 ft high and dumps 1,000 gallons of water on everyone below. When the horn sounds, hurry to the target...or hurry away! 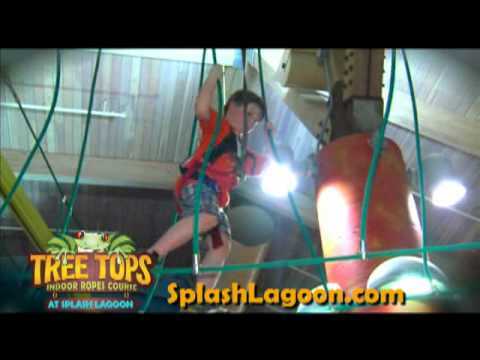 Tree Tops Ropes Course is a great test of balance and bravery as you climb 3 stories high over the water park below. Walk the tight rope, balance on rickety bridges and brave the balance beams. Admission to the water park is not required. 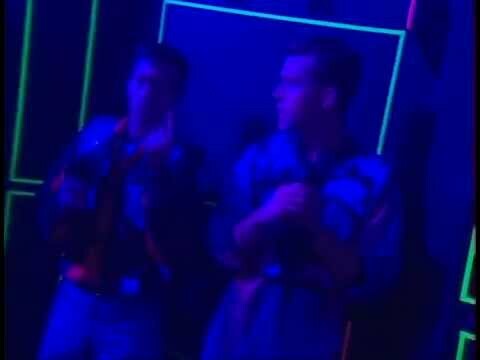 The classic game of tag...now with lasers! Team up with your friends and family and challenge your opponents to a frantic game of lazer tag! Keep covered and aim carefully, and compete for the high score! 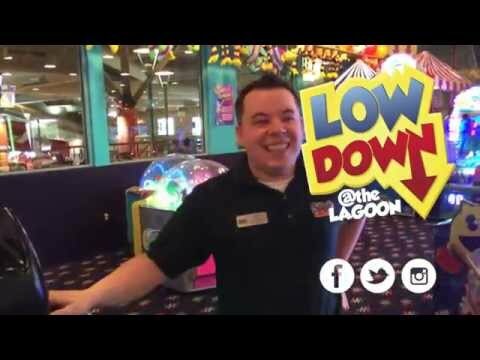 This Family Arcade is 6,000 square ft of gaming fun! 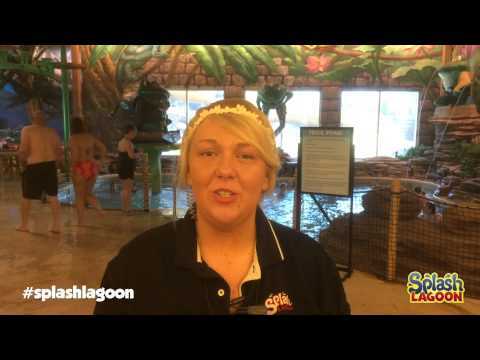 Splash Lagoon's Family Fun Center is the area's biggest and best, featuring over 110 games. Your kid will seriously love you forever! A Splash Lagoon birthday party is the ultimate celebration! What better gift to give than a day at the biggest and best water park in the region! They might even pick up their bedrooms and eat their broccoli! 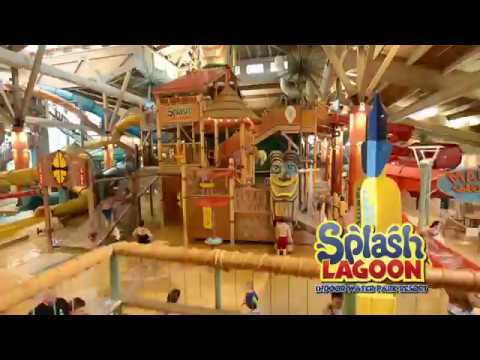 Your best Family Indoor Water Park Resort Getaway in PA, NY, OH! 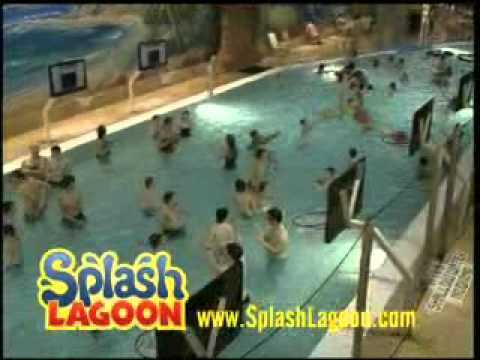 If you are looking for a great family vacation at an indoor water park, then this is your place. Host to the largest indoor wave pool in the eastern United States and one of the biggest indoor water parks in the country, Splash Lagoon is the ultimate family vacation. Located in Erie, Pennsylvania we’re just a 2 hour drive from Pittsburgh, Pennsylvania; Cleveland, Ohio; Buffalo, New York; and Ontario Canada.